You can pick up a great deal on Dr Pepper this week by stacking the following offers of a sale price, Cartwheel offer and grocery/beverage gift card offer. Dr Pepper 12-packs (12 oz cans) and 8-packs (16.9 oz bottles) are priced 4/$12. The sale includes Dr Pepper Regular, Diet, Cherry, Diet Cherry and TEN varieties. You can save an extra 10% by using the 10% off Dr Pepper Cartwheel offer. 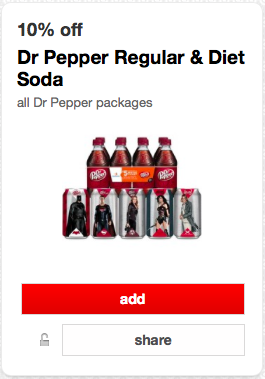 The offer is good on all Dr Pepper packages and includes Dr Pepper Regular and Diet Soda. The Cartwheel offer is valid though 3/26/16. 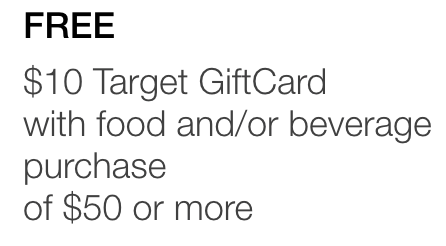 This deal gets even better because this week Target is offering a $10 gift card when you spend $50 or more on food and beverage at Target. To get this coupon sent to your mobile device you will need to text FOOD to 827438. 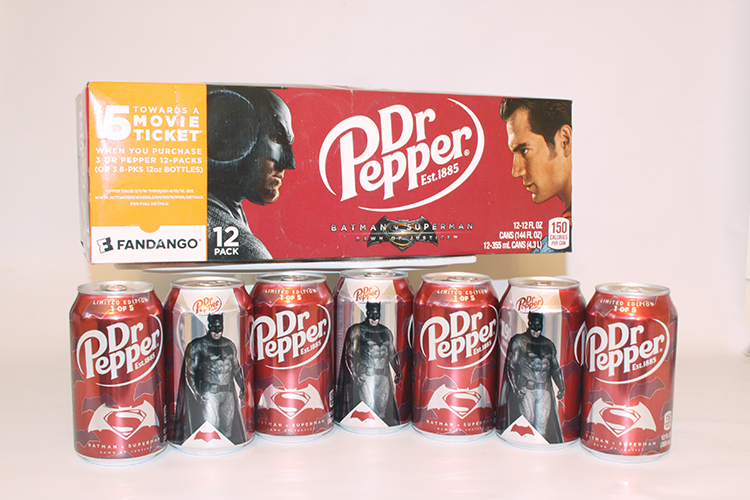 You should be able to find the limited edition Batman v Superman packaging on Dr Pepper 12-packs and 8-packs. You will want to collect all five Batman v Superman cans. In addition to the fun Batman v Superman packaging you will also find an offer for $5 towards a movie ticket when you buy 3 specially marked packages of Dr Pepper. 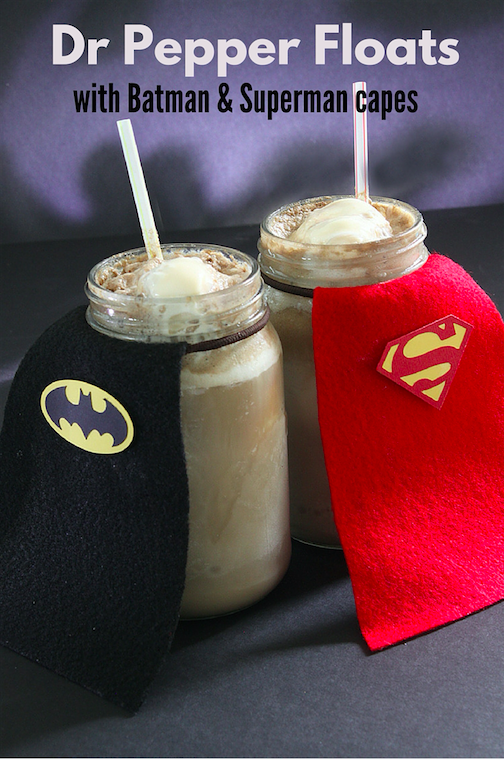 Make sure you check out how we made these fun Dr Pepper floats with Batman and Superman capes.